Despite donating more than £200,000 to charitable organisations in the last 24 months, the head of the Scotch Whisky Association (SWA) has said more needs to be done to tackle alcohol misuse in Scotland. Dame Joan Stringer and David Frost, CEO of the SWA, hosted an event in Glasgow celebrating the Scotch Whisky Action Fund's work. The £500,000 Scotch Whisky Action Fund, founded in December 2013 and chaired by Professor Dame Joan Stringer, aims to combat alcohol-related harm by donating £100,000 a year for five years to various organisations and charities. In 2015 the SWA helped fund philanthropic ventures as mixed as a mobile alcohol intervention team (MAIT) in Fife to the sum of £6,981, a carer scheme in West Dunbartonshire which has been awarded £11,430 over two years for people who have suffered ‘alcohol-related challenges in the home’ and given £24,985 over one year in order to help pay the salary of a senior youth worker for Youth Alive!, a service providing alcohol-related training for youths. According to the National Records of Scotland alcohol-related deaths have been rising slowly in the last three years, with the highest rates among those aged 45 or over. Outside the Box — an organisation for older people who want to enjoy alcohol responsibly but are unsure about complications that could arise — has used the money granted to them by the SWA to produce literature aimed at raising awareness and confidence. Anne Connor, CEO of Outside the Box, said that older people had found it difficult to find information about the effects of drinking in later life. The literature, which is titled Enjoying a Drink and Staying Safe as We Get Older, was released on Monday 30 November. The fund will end in 2018 but, while Frost described its work as being ‘important’, he said the SWA will continue to fight alcohol misuse. Applications for next year’s funding will open in January 2016. Scotch producers are donating a further £100k to groups working to combat alcohol-related harm. Comments from David Frost follow discussions with International Trade Secretary Liam Fox. 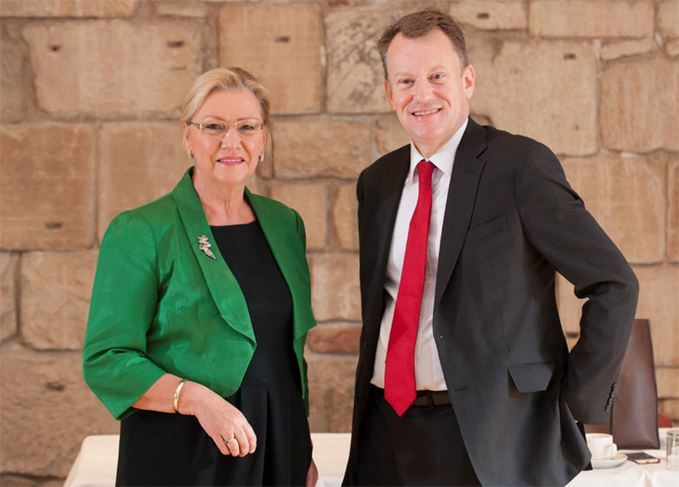 Scotch whisky’s impact on the UK economy is praised as the SWA opens a new London office. Nearly all the British public believe the 76% tax levy on a bottle of Scotch whisky is ‘unfair’.